Constructed from Cotton print fabric, this darling dress is perfect for Summer! 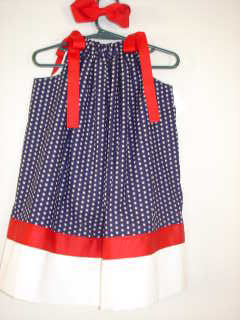 Dress is completely lined and features grosgrain ribbon ties and trim.�No hair bow included. Perfect for the 4th of July.